With integration and regional fusion of global economy, cultural creative industry is also continuously deepening and developing. 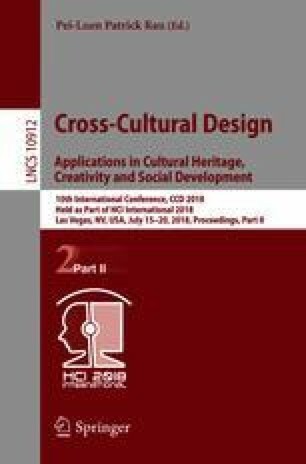 The Paper aims to analyze DNA evolution and transformation mode in such design from three levels, respectively, instinct, action and reflection for design of cultural creative products through integration and application of cultural design gene DNA in cultural creative design, establish product modeling image model and product modeling design situation model during creative design process of cultural design gene, provide structural rearrangement for design and application demand, complete effective organization and expression oriented at cultural creative design, and verify feasibility of DNA application oriented at cultural creative design through application examples. A cultural gene design method oriented at creative design is proposed from the perspective of cultural creative design, thus providing cultural creative designers with originality, stimulate design inspiration, improve design efficiency, effectively assist in cultural creative design and provide supporting services for development of cultural creative industry.